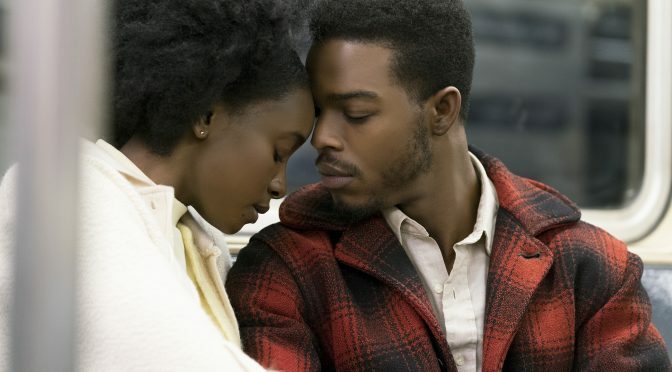 IF BEALE STREET COULD TALK: LISTEN UP! Academy Award-winning writer/director Barry Jenkins’ first film since the Best Picture Oscar winning Moonlight is IF BEALE STREET COULD TALK, his adaptation of James Baldwin’s novel. 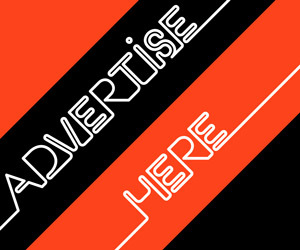 story as told through the eyes of 19-year-old Tish Rivers, who vividly recalls the passion, respect and trust that have connected she and her artist fiancé Alonzo Hunt, who goes by the nickname Fonny. Friends since childhood, the devoted couple dream of a future together but their plans are derailed when Fonny is arrested for a crime he did not commit. Tish knows that Fonny is innocent, by fact not faith, and Tish’s family are unwavering in their support for her and Fonny and for the couple’s unborn child. Writer director Barry Jenkins has more than less retained the book’s structure of flashbacks and fast forwards, using great slabs of Baldwin’s prose. The voice over becomes a little overdone, but Baldwin’s words are so powerful, descriptive, with such a political, social and personal resonance, one can easily pardon Jenkin’s faithfulness to the source material. Visually, IF BEALE STREET COULD TALK is gorgeous thanks to James Laxton’s lensing, and the string based score by Nicholas Britell makes it aurally arresting. There’s a string of fine performances too, especially from Kiki Layne as Tish, Teyonah Parris as her fierce older sister, Ernestine, and particularly, Regina King as Sharon, Tish’s deeply compassionate mother who goes to enormous lengths to clear Fonny’s name and emancipate him. Although set nearly half a century ago, IF BEALE STREET COULD TALK talks to us just as urgently in this era of Black Lives Matter and MeToo. The relevance is provocative and undeniable. Facing the unexpected prospect of single parenthood and holding down a job without her partner due to prejudicial racial profiling Tish must adjust her perspective on the realities of her existence, reaffirming their hopes and resilience, relying on familial and inner strength. 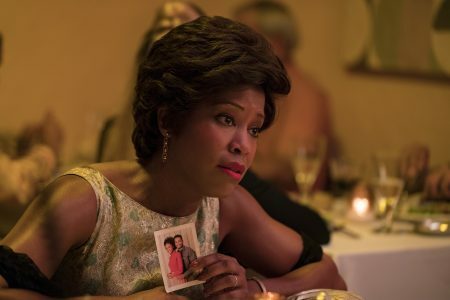 Out of contention for Best Picture at this year’s Oscars, IF BEALE STREET COULD TALK has, nevertheless, garnered Academy Award nominations for Best Actress in a Supporting Role, Regina King, Best Adapted Screenplay, Barry Jenkins, the category he won for Moonlight two years ago, and Best Original Score, Nicholas Britell.